– The General Council’s response: A Task Force was struck consisting mainly of brothers from the Regions - Patrick McGee (USA), Lucien Ladiamene (Africa/Madagascar), Bertrand Evelin (Europe), Raymond Carrière (Canada), Edgar Francken (Latin America), Jose Aduana (Asia-Oceania), Rabindra Rajapakse (General House) plus the General Council’s Ad Hoc Committee – Fathers Clyde Rausch, Baudouin Mubesala and Loudeger Mazile and as consultant, Sean Coleman (Natal). The Task Force reflected on the responses of the brothers and communities to a questionnaire and also did some initial reflection on the role of brothers within a clerical congregation. Finally, Normand Provencher, OMI, of St. Paul’s University, after participating in a meeting of the Task Force and reviewing its findings, was commissioned to do a study on the theology of the brother within a clerical congregation. I. Background - Why the present situation wherein brothers have a reduced status within a clerical congregation? 1. Historically the ideal was religious life without ordination (Benedictines, Franciscans, etc). 2. Our Founder, St. Eugene, however, originally intended to establish a society of priests to evangelize the poor by preaching popular missions. These priests were soon joined by lay people, brothers, who wanted to cooperate in this ministry and share their lives in community. The Founder, himself, wanted "brothers", not "domestics", men who would share fully in community life. 3. We were founded as a "clerical" Order. What does that mean? Canon Law (588, 2) limits the role that brothers in clerical orders may play in the governance of their order but exceptions can be made (R83a). *Their experience isn't valued sufficiently. *They lack the opportunity to participate in Government at certain levels. 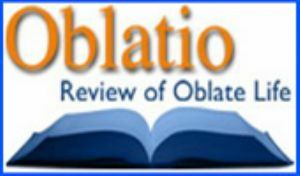 *Some units still, unconsciously, refer to themselves as the "Oblate Fathers". *The vocation of the brother isn't sufficiently promoted and is still sometimes seen as an exception to the norm (priest). *Opportunities for initial and ongoing formation aren't always equal. 1) Jesus created an apostolic community. 3) The contribution as religious to the Mystical Body of Christ. 5) John Paul II, at the Synod on Consecrated Life (1994), noted that the brothers can help remind priests that religious life has a communitarian dimension. 6) Priests and brothers do not necessarily give the same kind of symbolic witness. The invitation to ministry comes from baptism and begs for a new design of collaboration in the Church, namely, one that reflects more truly the biblical image of the Apostolic Church within which all parts organically depend upon each other. This, in turn, begs for a healthier relationship between the clerical church and the laity, between priests and brothers within clerical congregations. We are a Congregation founded to preach to the poor and to serve them. There is, in the Congregation, co-responsibility both for ministry and community life. The majority of our Congregation, priests, in fidelity to our Founder, will always have at its heart, the ministry of Word and Sacrament. Brothers are also called also to participate, albeit differently, in the ministry of Word and Sacrament. To better ensure this, Normand Provencher provides some very concrete suggestions for reflection and action on our part. The history of the Oblates of Mary Immaculate, a clerical congregation, would be very different, and much impoverished, if the Congregation hadn't been blessed from its very beginning, down to this day, with hundreds of dedicated, faith-filled, generous brothers who helped sustain our community life, built and maintained many of our institutions, modelled hospitality, modelled closeness to the poor, and, even without ordination, very much helped carry the ministry of Word and Sacrament. The charism and face of the brothers has helped define the uniqueness of Oblates and have helped the Oblates to radiate a particular face of Christ to the poor. After recognizing that their vocation is “always real and relevant”, the General Chapter of 1998 recommended that “a probing theological reflection on the place of brothers within a clerical congregation” be conducted (EPM, 26). This recommendation intends first of all to favor a deeper understanding of the vocation and role of the Brothers in our Institute, but also in the Church and in society. Additionally, it’s aim is to correct certain discriminatory attitudes, often inherited from the past, and to heal an uneasiness and even hurts sometimes, on the part of the Brothers who are members of an Institute that is clerical according to the legislation of the Church. The current juridical norms prevent Brothers of Clerical Institutes from participating fully in government. The distinction between “Brothers” and “Fathers” has certainly left its mark on our mentalities, on our way of life and on our ministries. Influenced by historical, social and ecclesial circumstances from other eras, we spontaneously consider the Brother as a religious who, not having the intellectual preparation required for the exercise of priestly ministry, consecrates himself especially to manual tasks. Too often we are inclined to favor his dedication and the usefulness of his work and we do not consider sufficiently his being a religious and his role as a missionary. It is necessary to add that the recent promotion of laypeople, their active participation in various ministries and their association to the Oblate charism contribute to obscuring the place of Brothers in our Congregation. That is why it is appropriate to undertake a reflection in order to specify the identity of the Brother in our Congregation, which according to the first article of our Constitutions and Rules, is clerical. We know that this juridical qualification was added in 1982, at the request of the Congregation for Religious, so that our juridical status would be more clearly defined according to the new Code of Canon Law which was about to be promulgated (see c. 588, 2 and 589). This, in fact, has some precise consequences for the governing of the Institute and for concrete life in our communities. It is appropriate, nevertheless, to go beyond the juridical point of view and look for the theological reasons for this explicit specification in our Constitutions and Rules. This reflection on the vocation and place of the Brothers concerns all Oblate communities, Fathers and Brothers, for it touches on the very identity of our Institute. Father Fernand Jetté affirmed very clearly: “For me, the Congregation is not complete if the Brothers are missing.” We do not lack serious studies on the Brothers: historical, canonical and spiritual studies. But must we not admit that they are still too little known by most Oblates? At their origin, the great Orders like the Benedictines, Mendicant Orders and Carmelites, were composed of communities of brothers and some priests who ensured the sacramental ministry. All were brothers. The ideal of religious life without ordination was still strong in a saint like Francis of Assisi, who did not feel personally called to priestly ministry. At the end of the Middle Ages the phenomenon of clericalism became widespread and left its mark on religious life in West. For a few years now, religious orders are trying to rediscover the spirit that animated them in the beginning and their members tend more and more to form “brotherhoods” and to be called “brothers”. As for us Oblates, it is of course necessary to recall the intention of our Founder, saint Eugene, who first of all wanted to establish a Society of priests who would devote their life to the evangelization of the poor, notably by preaching missions. These priests were very early joined by some “lay people” who desired to give themselves to God in Oblate religious life and to cooperate in their way in the missionary activity, according to their talents and their training. Our Founder welcomed them and did not want us to consider them as “domestics”, but as “brothers” who share our community life and our missionary activities. 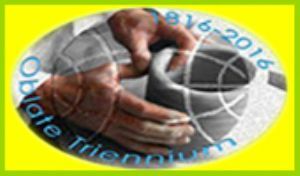 While making our own the project of our Founder and the provisions of the various General Chapters and numerous studies made on the Brothers, our theological reflection proposes to interpret the givens of our heritage and update them within a new and different social context while taking into account current theology on consecrated life, mission, evangelization and the complementarity of ministries. Our reflection is made after having gone through the responses to the two questionnaires that the General Administration sent to the Oblates following the last General Chapter: one to all the Brothers in 2001, the other to all the Oblate communities in 2002. These responses allow us to know better the lived experience and expectations of the Brothers, as religious and as missionaries. We have also learned a lot from the exchanges during the meeting of the “Task Force” on the Brothers that was held in Rome, June 30 to July 5, 2003. On several occasions, John Paul II mentioned the vocation and the role of Brothers. January 12, 1980, during an audience to a thousand religious Brothers of clerical and lay Institutes, he shared some thoughts that put into perspective the proper aspects of their choice of life. He recalled first the teaching of the Council concerning their religious consecration and brought out again that religious profession is an expression of “the bipolarity” of the universal and baptismal priesthood: “A double direction, therefore, towards God and towards men, characterizes your life; and at the base of both there is the same one baptismal priesthood.” Religious lay people, John Paul II adds while going back to the words of Perfectae caritatis (n. 10), participate in a very useful manner in the pastoral mission of the Church. They accomplish a work “essentially ecclesial”, since their religious consecration orients them towards the life of the Mystical Body”. Consequently, the importance of the contribution of religious to the life of the Church “does not depend so much on the kind of activities that they do but on the depth of faith and love that they put into the fulfillment of their service, no matter how humble it may appear”. To make the role of Brothers better understood, John Paul II shows how their activities can be considered as a “bonding point” or as a function of “linking” human and ecclesiastical realities, the kingdom of man and the kingdom of God: “By your material tasks which affect the good running of the entire community, by your apostolic service along side your brother priests, by your presence in schools, in the workplace, in the world of technology, you are called to perform a function of bonding, be it within your respective religious families in view of a stronger organic unity, be it in the exterior professional and work world where you can play a very important role in bringing these areas closer to the Church.” The pope’s message is still relevant and challenging; it opens promising ways for the future concerning the place of the Brothers among us. January 24, 1986, during a talk to the Plenary Assembly of the Congregation for Religious which had held some days of study on the precise theme of the identity and mission of Brothers in lay and clerical Institutes, John Paul II insisted on the complementarity of the vocation of the priest and Brother in these terms: “For a religious priest, involved in many pastoral activities, his lay brother is a reminder that religious life has a community dimension which must not be overlooked. For the Brother, involved in humble domestic chores or in tasks of secular service, the priest recalls the apostolic dimension of what he is doing.” In this same speech, the pope recalls: “The Code of Canon Law opens up to them many possibilities for participation in the life and mission of their own religious family, except of course those aspects that derive strictly from the priestly character.” He specifies finally that it pertains “to the General Chapters to study more precisely and to apply these possibilities in the light of the norms of the universal law and in a renewed dedication of fidelity to the founding charism and to the specific mission of each institute in the current needs of the Church.” If the pope delivers such a precise message on the position of the Brothers in a clerical Institute, it is to remedy those situations that need to change and to open new avenues. The important points of recent Church teaching on the vocation and the place of Brothers in clerical Institutes which we have just mentioned allow us to carry on our reflection without feeling isolated from other Institutes. By the express request of John Paul II and by the 1994 Synod of Bishops on consecrated life, the Institutes are strongly encouraged to better understand and to situate in a more adequate manner the place of the Brothers, who are full fledged members. In fact, all clerical Institutes with Brothers have to look for adequate solutions to the questions concerning their participation in the government of their Institutes and their involvement in diverse ministries or tasks. Taking inspiration from the charism of the Founder, the heritage of the lived experience of our Brothers, our recent Constitutions and Rules and the recent teaching of the Church, we will present some theological data on oblate identity that can renew our outlook and give rise to new ways of acting. We cannot describe the identity of the Brother without describing Oblate identity itself that is composed of a combination of elements that found in the Constitutions and Rules and are accepted by all the members of the Congregation. Their importance and arrangement can be considered differently according to each ones spiritual options, according to concrete experience of Oblate life and according to the understanding of the oblate charism which is a gift of God granted to the Oblates, priests and Brothers, for the building up of the Church. 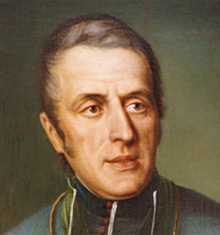 In order to respond to the call of the Christ and to take part in his mission, Eugene de Mazenod founded the Congregation of the Missionary Oblates of Mary Immaculate. This urgent call of the Christ was perceived within the Church, through an awareness of the need of salvation for the world of his day. Christ still calls us today through an awareness of the need of salvation of men and women, needs that take different forms according to their countries and the times. Faith is like a second look on our world allowing us to see, or at least to get a glimpse of its weaknesses, its groping search for meaning, its need to have a reason to live and hope. We share the conviction that the response to these needs of salvation are ultimately only found in Christ and his Gospel which the Church has as its primary mission to make known by word, attitudes and works. Hearing this call of the Christ in Church is common to all Oblates. Priests and Brothers respond to this same call, but in a different and complementary ways. The response to the call of the Christ created the community of the Apostles which always remains for the Church down through the ages the permanent model and inspiration of every Christian community. The Founder concretized his response to the call of Christ to share in his mission by gathering priests and Brothers in fraternal communities where all, without distinction, accept to be disciples of Jesus and to cooperate in the same mission. In order to live in intimacy with Christ and to follow the example of the first disciples, and to better cooperate in his mission, the Oblates, priests and Brothers, devote themselves to the search for God and his kingdom through the vows of chastity, poverty and obedience. The practice of the vows is a privileged expression of their love of Christ, and also a way of announcing the coming of the kingdom of God in today’s world. All Oblates, priests and Brothers, accept to become disciples of Christ by living charity in community. The vows and community life are essential components of the oblate charism. In our modern societies, marked by a utilitarian and technocratic culture, is not consecrated life considered as a kind of waste of talents and energy that could be used with greater benefit for the Church and humanity? To this question, the Post-Synodal Exhortation Vita consecrata gives a clear answer: “Beyond all superficial assessments of its usefulness, the consecrated life is important precisely in its being unbounded generosity and love, and this all the more so in a world which risks being suffocated in the whirlpool of the ephemeral.” Now in our Congregation and also in the Church, the Brothers express, by their religious and community life, the importance of gratuity, one of the values that characterizes the kingdom of God which is in the process of taking form in our world. What Father Jetté asserts about the individual Oblate, must be said about every Oblate community. Oblates form communities of religious, with all the demands of consecrated life, but even more precisely missionary communities. It is necessary for us to be conscious of this Oblate characteristic, notably in the choice of works and in the discernment of candidates. This missionary mentality should characterize our manner of prayer, of studies and work in the ministries that are entrusted to us. All Oblates, priests and Brothers, are therefore partners in the same mission. We are not faithful to the Oblate charism if we reach the point of considering some Oblates as missionaries, and others only as religious or religious priests. The mission is realized by the word and the testimony of a life transformed by the Gospel. It is carried out by all, priests and Brothers, in different but complementary ways, according to personal charisms and concrete needs. All are co-responsible for the evangelization of the poor with their many faces. In the social context of today, Oblate communities have a unique testimony to give. Gathering priests and Brothers of different ages, sometimes of different languages and cultures, of varied academic formation, and exercising diverse activities and services, they give concrete testimony of communion and dialog, of a deep unity with respect for differences. Oblate communities can thus be signs proclaiming the coming of the Kingdom. Even though the Oblates have a common mission, they do not perform the same activities and they do not give the same type of witness by the fact that they are priests or Brothers. Oblate priests, as priests, represent Christ as Pastor and Head. It pertains to them, by this title, “to preside» or to be those primarily responsible for building up Christian communities, being “vigilant” that they receive the Word of God leads them to celebrate the sacraments, notably the Eucharist. As for the Brothers, they have an indispensable role to exercise, just as necessary as that of the priests, in the building up the Church (R 7 c), by word, by Gospel witness and by their professional and manual services within and outside the Oblate community. We can consider them as representatives of Christ the Servant, of Christ who is close to the little ones, who heals the sick and nourishes a starving crowd. This service mentality is also required of the priest and of all the baptized, as the episode of the washing of the feet shows us (Jn 13, 1-16), but the Brothers are often our teachers in this matter. In several provinces, the Brothers contribute to the mission of the Congregation by exercising above all manual tasks. Furthermore, they collaborate in the field of education, social and health services. By these services, the Brothers follow Jesus who inaugurated the coming of the kingdom of God not only by word, but also by concrete humanizing gestures. It is the mission that the Constitutions and Rules sees as theirs: “Missioned by the Church, their technical, professional or pastoral service, as well as the witness of their life, constitute their ministry of evangelization” (R 7 c). The salvation by God is complete and it concerns the whole person, the carnal as well as the spiritual dimensions. In the responses to the two questionnaires addressed to the Brothers and to the Oblate communities, several Brothers say they are at ease and happy in the Congregation, even if it is formed mostly by priests. They acknowledge that they find meaning in their prayer life and charity, and that they are fulfilled through their activities and their manual work, with the conviction that they are helping the priests accomplish their ministry and are also themselves contributing directly to the work of evangelization. Some, especially in the past, were hurt by remarks and attitudes that reveal a lack of understanding of their vocation on the part of the priests. The wounds are not yet healed and some wish that a process of healing would take place. Most of them stress nevertheless that the situation has changed a lot since Vatican II and the new Constitutions and Rules. They feel more and more that they have their place in the communities and they rejoice in this. The responses to the questionnaires indicate nevertheless that the Brothers, notably in some provinces and communities, still suffer by being considered as “second class” Oblates. They are never consulted or very seldom, and little account is taken of their experience or ideas concerning the direction and carrying out of pastoral and community projects. They feel forgotten at the various governmental levels of the Congregation. It still happens very often that one only speaks about the “Oblate Fathers”, without mentioning the Brothers. In vocation ministry, one does not always promote their vocation and their role. They are sometimes considered as exceptions. Now Brothers of some provinces see the source of this discomfort in the fact that the Congregation defines itself as “clerical”. Consequently, they desire keenly that the authorities remove the expression “clerical congregation” from the first article of our Constitutions and Rules. The expression can lead one to believe that the Congregation normally groups together priests and, by exception, Brothers. The expression “clerical congregation” requires explanations which are juridical as well as theological so that it does not give rise to discomfort or irritation, and so that it express the Oblate identity, of the priest as well as of the Brother. The Congregation is not clerical in the sense that it is formed first of all of “clerics” or of ordained ministers and that these are superior members. The expression “clerical congregation” is of a juridical order, – according to current legislation, – allowing the explanation of certain rights and obligations as foreseen in Code of Canon Law (v.g. the call to orders by the Major Superior, jurisdiction). More profoundly, the canonical legislation wants to point out that in a clerical Institute “the sacred ministry is constitutive of the charism and determines its nature, purpose and spirit.” In other words, this juridical expression means that our Institute does not have as its first end works like education and teaching, social work or health care. “Lay” religious Institutes can have these works as a principal end. Without excluding these, a clerical Institute has as its purpose to offer the ministry of the word and the sacramental ministry, which are necessary to accomplish the mission of the Church. These ministries require ordination. In a “clerical” Institute, government is confided in principle to those that assure the primary purpose of the Institute and on all government levels: local, provincial and general. 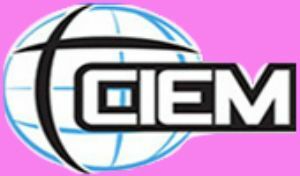 So it is that a clerical Institute is governed by clerics and they are recognized as such by the authority of the Church (Cf. The Code of Canon Law, 588, 2). The Brothers can be members of the councils. 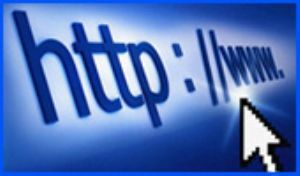 In situations where a community is oriented towards an internal service to the Institute (v.g. an infirmary, a formation center), a Brother can be named local superior, but with an indult of the Holy See. The case does apply to the provincial or general level because these entities are oriented towards the pursuit of the mission of the clerical Institute. How do the Brothers participate in the mission of a clerical Institute? The Post-Synodal Exhortation Vita Consecrata specifies their participation in these terms: “The presence of Brothers constitutes a different form of participation in an Institute’s mission, through services rendered both within the community and in the apostolate, in collaboration with those who exercise the priestly ministry” (no 60). The Brothers have therefore their own proper way, which takes on various forms, for collaborating closely and participating actively in the mission of the Congregation. In concrete life, priests do not perform only activities that require ordination; as for the brothers, they can perform tasks that are explicitly pastoral. But we need to assert, – and we are recognized as such by the Church, – that our Congregation is “clerical” in the sense that its mission consists essentially in the exercise of the priestly ministry in view of the sanctification of men by word and sacrament. The current canonical legislation on the place of the Brothers in a clerical Institute is clearly dependent upon an ecclesiology and on a theology of the priest, the ministries and the relationship of priest-laity. For a half century, the question of ministries has been studied a lot, on the theological level as on the level of pastoral action. A new way has been elaborated, taking into account biblical research, changes in the Church inspired by Vatican II, and also the evolution of mentalities in our societies. In order to better to grasp the reality and meaning of ministries, we start by recognizing that the entire Church is ministerial, that is to say, at the service of the Gospel in the world. So that all baptized persons can be responsible for and engaged in the realization of the mission of the Church, it is required that some exercise determined functions. But these ministries and services are not reserved to ordained ministers who do not have a monopoly on ecclesial ministry. Thus laypeople are called to exercise true ministries that have “their sacramental foundation in baptism, confirmation and additionally, for many of them, in marriage”. Their ministry is therefore based on the sacraments of Christian life and not on a sharing in the responsibility of pastors. Following Paul VI’s Evangelii nuntiandi (no 73), pope John Paul II evokes a wide range of ministerial responsibilities: “Therefore the Church of the third Millennium will need to encourage all the baptized and confirmed to be aware of their active responsibility in the Church’s life. Together with the ordained ministry, other ministries, whether formally instituted or simply recognized, can flourish for the good of the whole community, sustaining it in all its many needs: from catechesis to liturgy, from the education of the young to the widest array of charitable works.” It is evident that Brothers can exercise true ecclesial ministries and contribute thus to the evangelization and building up of Christian communities. All service in the Church is not “ministry”. In order that a service can be recognized as a «ministry», one can apply some essential criteria: the importance of the service, recognition by the competent authority and its duration. Moreover, one must not forget the place of “charisms” which are also necessary for building up the Church. The variety of ministries requires a new design for collaboration in the Church, a new way of being Church. This collaboration rests initially on mutual recognition and respect for the different vocations and functions, always at the service of a common mission. Now, according to this new theological approach to ministries, we are already beyond the binomial priest-laity, a distinction or a separation that does not conform to the teaching of Christ nor to the practice of the early Church. We Oblates, priests-brothers, each according to his grace, relate one to another in view of building up, that is to say, to construct the Christian community, which is the Body of the Christ (Cf. Rm 15, 2; Eph 2, 21; 4, 12.16.29). “Because we are God’s co-workers” (1 Cor 3, 9) we should welcome one another as brothers in the Christ. It is rather evident that the affirmation of the “clerical” character of our Institute, imposed by the Congregation of Religious, is inspired by the present Canon Law, but not by this new theology of the ministries. Besides, it is necessary to recognize that the word “clerical” is not the best term, nor even the most precise, to express the nature of an institute that includes priests and Brothers. The term “cleric” (and also the adjective “clerical”), marked by a long history, spontaneously evokes two “classes” of baptized in the Church, of which one seems superior to the other. The uneasiness that this canonical formulation gives rise to is completely understandable, especially for those who are familiar with the new theology of ministries and who are engaged in new ways of “being Church”. Since it seems difficult to replace it, we should at least interpret it in the framework of an ecclesiology inspired by Vatican II and upheld, sometimes with hesitation and reluctance, by the most recent teaching of John Paul II. Between ordained ministries, baptismal ministries and also between the various services, an organic unity is required in order not to compromise the unity of the mission. The specificity and the identity of each ministry must be respected; but none of them has meaning if considered in isolation where one way becomes absolute. This is why every ministry is essentially a relational reality; it has by nature a double solidarity, one that relates it to the Christian community to which it is destined, and one that makes it carry out its proper role within the ensemble of all the ministries. Each ministry needs the others in order to understand itself and to be exercised. The specificity of each of the ministries cannot be defined uniquely by considering the tasks performed by the ministers. One must rather see the various ministries and services from the point of view of their meaning in order then to better perceive the complementarity and the interrelation that exist between them. By their ordination, the Oblates priests, who are clearly a majority in our Institute, are signs and servants of the initiative of Christ the Pastor; they build up the Church by announcing the Word, celebrating the sacraments, notably the Eucharist, and by animation of communities. With the priests, in collaboration with them, the Brothers are called by their baptism, religious consecration and charism, to exercise true ministries and various services. These ministries and services will also be related to the Word, to celebration and services to Christian communities and within the Institute. The ordained ministry means the initiative and gift of God to his people, while the ministries and the services of the Brothers, as those of laypeople, show the active response of the baptized. In other words, there are two different and necessary ways, but each related to the other, to participate in the one priesthood of Christ. According to the teaching of Vatican II, it is necessary to add that all the baptized also participate in Christ’s prophetic and kingly role and that this participation is realized in the exercise of ministries and of services that do not need ordination. By their baptism and confirmation and being in the world, laypeople exercise ministries that build up the Church. For their part, the Brothers perform ministries and services as baptized religious and missionaries. When they can no longer devote themselves to pastoral, professional or domestic service because of age or sickness, they continue to exercise the “ministry of prayer”. Furthermore, their interest in the works of the Congregation, the encouragement they bring to their active and younger colleagues and above all their hope, contribute to realizing the mission of our Congregation. Recent theology of ministries, ordained and baptismal, is not comfortable with the traditional unbiblical separation between clerics and laypeople. We might add: between Oblates priests and Brothers. This theological approach allows us to rediscover that the Church, structured by various ministries, is completely ministerial, that is to say, at the service of the Gospel in and for the world. Instead of the pairing of priests-laity, or priests-Brothers, there is the link between Church and ministries that we have to make work. The whole Church is ministerial and she fulfills her mission through a variety of ministries: ordained ministries and ministries exercised by baptismal right or by delegation. 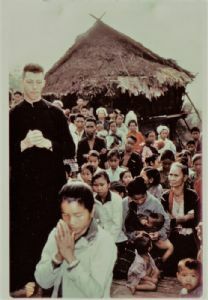 In the same way the whole Oblate Congregation is missionary and dedicated to evangelization: there are ordained Oblates who exercise especially, but no exclusively, the priestly ministry, and other Oblates who devote themselves to ministries or humanitarian tasks for the cause of the Gospel by baptismal right and by belonging to an Institute that is both religious and missionary. We recognize that this new approach of the place of Brothers in a clerical Institute can appear a little difficult. It is certainly too rapid and would demand a longer development. But through deeper reflection, it will allow us to consider the vocation and the role of the Brothers in a new light, more adapted to reality, and to remove the discomfort or irritations which the formula “clerical congregation” gives rise to. 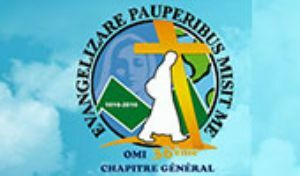 According to the needs, charisms, talents and the missionary and pastoral priorities of a province, there is a great variety in carrying out the one mission which is the evangelization of the poor. There are a variety of ministries exercised by Oblate priests; the same is true of the Brothers. On the other hand, we see a deep unity that characterizes every Oblate Brother: availability, the sense of co-responsibility, service, prayer life, concern for the poor, involvement in community life and interest in the Congregation. Concretely we can welcome among us the baptized who have different talents, academic preparation and professions. They will have their place if they accept to work for the evangelization of the most abandoned or to serve in the communities concerned with the mission. It is required that the Brothers be assured a formation, both initial and ongoing, that is spiritual, theological, human and professional, which will allow them to work for the extension of the Kingdom of God in all the spheres which do not require ordination. Each Region will have to specify the formation methods and see also to an appropriate “recycling”. It will be necessary to foresee for the Brothers a time of formation with the scholastics since they will often have the occasion of working together. It seems more and more important for us that they be assured a solid biblical formation and a familiarity with the more certain orientations of current theology. Besides formation, it is important to see to the human and emotional maturity of the Brothers; their vocation and their service demands a solidity and independence because they work with the priests and with laypeople who expect a lot from religious. In the recruitment and formation of scholastics, it is necessary to show that the vocation of the Brothers is not a second-class vocation, for persons having less studies or talents. It is a specific vocation that has its own requirements and areas of greatness. In the houses and provinces of the Congregation, we must be concerned with promoting the vocation of the Brother: “not to be concerned about such a vocation, not to promote it, would impoverish the Congregation considerably and would be on our part a lack in fidelity to both our history and to the grace of God.” In certain provinces where Brothers are absent, one must question this fact and review the model of life that it proposes. Let us also avoid speaking about them in a condescending “paternal” manner and giving value only to the “useful”, sometimes venial, aspects of their tasks. They are not at the service of the priests, but of the mission. According to our Constitutions and Rules and Canon Law, the Brothers can have administrative and management functions and exercise responsibilities that do not require ordination. With a revision of the canonical norms of the Church, they could hold positions at the various levels of administration of the Congregation if they have the ability and preparation. Priestly ordination does not give the gifts of administration, government and animation, nor the spirit of service. By their vocation and role, the Brothers assure the identity and authenticity of our Congregation. Their vocation reminds all of the importance of religious life and prayer, of community and fraternal life. This religious and fraternal life is a testimony of our following Christ. In our communities and in several provinces, we have memories and also current examples of Brothers who lead a life that is simple and shared, serene and fulfilled. The majority of them devote themselves, often in a discreet way, to very diverse tasks or trades. It is unfortunately at the time of their death that we take note of their importance and their role. The Brothers speak to us concretely about the mystery of the Kingdom of God that makes its way through an ordinary and simple life; this cannot be mentioned without evoking that of the family of Nazareth. Only a fraternal Church can be missionary: “If you have love for one another, Jesus said, all will know that you are my disciples” (Jn 13, 35). This is true for our Institute and for each of our communities. Brotherly love is the supreme sign of the presence of love of God in our lives; each of our communities should be the sacrament of this presence. We can develop the most beautiful projects of “new evangelization” and put in place missionary strategies full of promise, but if we do not love one another as brothers, it is in vain. The Brothers call us back to the importance of brotherly life. They are a grace for all Oblates, for the Church and for society. Faithful to the charism of our Founder and concerned about evangelization in our modern society, all Oblates have the responsibility to be interested in and open to the vocation and place of the Brothers in our Congregation. 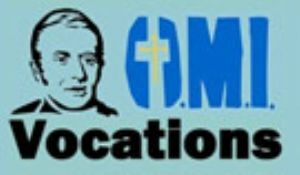 The presence of the Brothers is required to assure the identity and authenticity of our Institute of the Missionary Oblates of Mary Immaculate. Has not the time come to rediscover their identity, to describe it in new terms and to open new ways for them to better realize our mission as evangelizers? Saint Paul University, Ottawa, Canada. Fernand JETTÉ, «The vocation of the Oblate Brother in the past and at the present time», in Vie Oblate Life, 45, 1986, p. 283. See Yvon BEAUDOIN, «Essai de bibliographie sur les Frères dans la Congrégation des Missionnaires Oblats de Marie Immaculée», in Vie Oblate Life, 49, 1990, p. 27-38. This impressive bibliography goes up to the year 1986. Santiago REBORDINOS, «Brothers», in Dictionary of Oblate Values (edited by Fabio Ciardi), Rome, 1996, p. 47-70. For canonical matters: William H. WOESTMAN, The Missionary Oblates of Mary Immaculate. A Clerical Religious Congregation with Brothers, Rome, 1984. Eugene De MAZENOD, Selected Texts related to the O.M.I. Constitutions and Rules, Rome, 1983, Nos. 10, 17, 18, 190. This “Task Force” was made up of Father Clyde Rausch, Baudouin Mubesala et Loudeger Mazile (General Administration); representatives of the different Regions: Brothers Lucien Ladiamene (Africa-Madagascar), Patrick McGee (United States), Bertrand Evelin (Europe), Raymond Carrière (Canada), Edgar Francken (Latin America), Jose Aduana (Asia-Oceania), Rabindra Rajapakse (General House) et Father Sean Coleman (Natal). Normand Provencher (Saint Paul University, Ottawa) was invited as a resource person to the meeting held June 30th to July 5th 2003. JOHN PAUL II, “Address to Religious of Clerical and Lay Institutes”, in The Pope Speaks, Vol. 31 (1986), p. 121. JOHN PAUL II, «La vocation des religieux laïcs», in La Documentation Catholique, 1986, No. 1913, p. 238-239. JOHN PAUL II, «La vie consacrée des Frères laïcs», in La Documentation Catholique, 1995, no 2113, p. 305-306. JOHN PAUL II, Post-synodal ExhortationVita Consecrata, No. 105. Fernand JETTÉ, O. M. I. The Apostolic Man. A Commentary on the 1982 edition of the Oblate Constitutions and Rules, General House, Rome 1992, p. 60. See PAUL VI, “Address to the 32nd General Congregation of the Society of Jesus” (December 3, 1974), in The Pope Speaks, 1974, Vol. 19, p. 235-249. On the theological meaning of the expression « clerical Congregation » we quote Paul VI: “You are also priests. The clerical life is another essential character of the Society – although we must not forget your ancient and legitimate custom of accepting Brothers, not in sacred orders, who have played a meritorious, honorable and always effective role in your institute. Your father and lawgiver expressly required that the professed religious be priests, and rightly so, for the priesthood is a necessity in an order established, as his was, chiefly for the sanctification of men through God’s word and the sacraments. Moreover, your very dedication to the apostolic life – a life, let Us repeat, that you must live to the full – requires the priesthood. Why? Because the grace of Holy Orders, which assimilates a man to Christ who was sent by the Father, is a privileged source of apostolic dedication to the mission you carry out in accordance with your vocation (p. 240-241). JOHN PAUL II, Post-synodal Apostolic ExhortationChristifideles Laici, 1988, no 23. JOHN PAUL II, Apostolic LetterNovo Millenio Ineunte, January 6, 2001, No. 46, dans La Documentation catholique, 2001, No. 2240, p. 84. In order to explain the « clerical» character of our Congregation, Father Marcello ZAGO published a study entitled “The Priestly Character of the Congregation” (OMI Documentation,No. 185, April 1992). He uses by preference the term “priestly” instead of “clerical”. His study has provoked some questions and unease on the part of some Oblates. It seems to me that Father Zago’s reflections do not sufficiently take into account recent theological approaches concerning the priest and ministries. See ’The Roman Instruction of August 15, 1997 which is entitled: Instruction on Certain Questions Regarding the Collaboration of the Non-ordained Faithful in the Sacred Ministry of Priests. This document insists on the irreplaceable character of the ordained ministry and shows reluctance to using the word “ministry” for the laity. “Though they differ from one another in essence and not only in degree, the common priesthood of the faithful and the ministerial or hierarchical priesthood are none the less interrelated. Each of them in its own special way is a participation in the one priesthood of Christ” (Lumen gentium, 10). Lumen gentium, No. 35 and 36. These texts from the Council should be made known and implemented in the context of the theology of ministries and the role of the baptized as well as of Brothers in the Church. We forget too often that prayer is an ecclesial ministry, namely the Breviary. In the present context, it is realistic to think that the Congregation for Institutes of Consecrated Life will not accept a modification of article one of our Constitutions. It is preferable on our part to present a theology on the Oblate charism, on the place of Brothers and on the relationship between the ministries of priests and of Brothers. We can also consider putting all the “canonical possibilities” into practice. Fernand JETTÉ, “The vocation of the Oblate Brother in the past and at the present time,” in Vie Oblate Life, 45, 1986, p. 283.